This Saturday The Paranormal View welcomes Jimmy Morris. 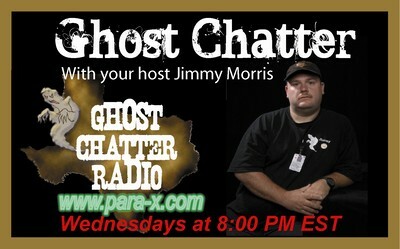 Jimmy is the founder of Texas Paranormal Research and the host of Ghost Chatter on the Para-x radio network. Tune in and find out what new projects and adventures he currently has in the works! Join Beth and Henry as we as we have a good old Texas BBQ – grilling Jimmy! July 10th at 8 Est. Come and have some fun at Para-X! This entry was posted on July 7, 2010 at 9:23 am and is filed under From the Hosts, Ghosts & Hauntings with tags ghosts, Investigators, jimmy morris, Paranormal, paranormal activity, Texas. You can follow any responses to this entry through the RSS 2.0 feed. You can leave a response, or trackback from your own site.